GECA's Emma Berthold discusses some of the ways to manage educational environments to ensure students and staff are at their healthiest and most productive. School buildings come with their own unique challenges from an operational point of view. 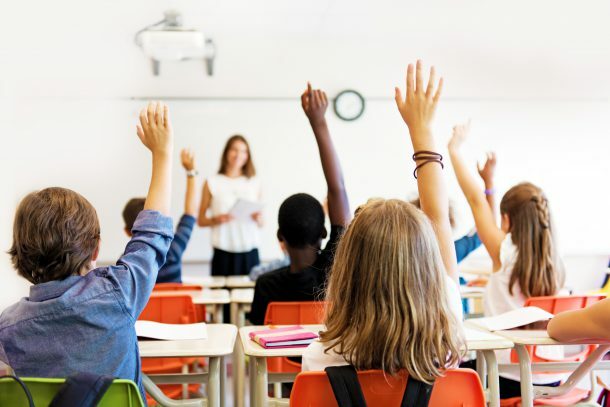 Good Environmental Choice Australia’s Emma Berthold discusses some of the ways to manage educational environments to ensure students and staff are at their healthiest and most productive. Schools come with their own unique challenges from an operational point of view. Most of the building occupants are much younger, with bodies and minds that are still developing. That means they’re even more sensitive to the indoor air quality and surroundings – prime candidates for a ‘green’ upgrade to improve the spaces where they learn, interact and grow. A lot of the conversation around green buildings and how they’re run on a daily basis centres around commercial and corporate spaces, often thanks to fewer restrictions on funding for such projects compared to school buildings. According to a 2013 report released by the Green Building Council of Australia, titled ‘The future of Australian education – Sustainable places for learning’, most Australian schools and a lot of tertiary institutions have been built “to meet only minimum building code requirements”. This is despite the wealth of research linking ‘green’ buildings with improved health, satisfaction and productivity of building occupants, much of which is outlined in the report. A 2013 UK study found classroom environments can influence a child’s academic progress over one year by “as much as 25 per cent”. Even simple elements such as having plenty of natural daylight can be linked to increased learning progress in mathematics and reading, and the quality of room ventilation directly correlates with student performance in tests. And, of course, indoor air quality in ‘green’ learning environments dramatically improved the health of students and teachers – one US study claimed an improvement of 41.5 per cent, including “reduced instances of asthma, flu, respiratory problems and headaches”. Toxins affecting indoor air quality can be biological or chemical. Examples of biological toxins can include dust and pollen, whereas chemical toxins tend to come from substances used in building materials, furnishings, cleaning products, and other sources. This first appeared in the July/August issue of INCLEAN magazine. To read the full article, click here.